Autumn is here with all the mists and all the mellow fruitfulness, the Autumn series have begun to stream and yet while we were compiling this overview, we were still waiting for the last of the Summer Season episodes. This was partly due to the extreme weather that has afflicted Japan and partly because – as we noted when this season began – one season has begun to bleed into the next. Summer 2018 has proved something of a mixed bag. There have been Marmite series (Banana Fish) unexpected discoveries (Asobi Asobase ) and then, all those returning shows like Free! and Attack on Titan – have they lived up to the high expectations? The AUKN writers are here to share their thoughts as they look back over the past few weeks. Please share your thoughts too! When we put together the Summer Preview article I admit I struggled to find titles to talk about. I hadn’t started many shows and although my watching list did grow considerably, at the end of the season, as I look back, I’m not sure much of it was any good at all. That said, there are exceptions to my feelings of disinterest and so I’m going to talk about the two shows that I enjoyed all the way through. 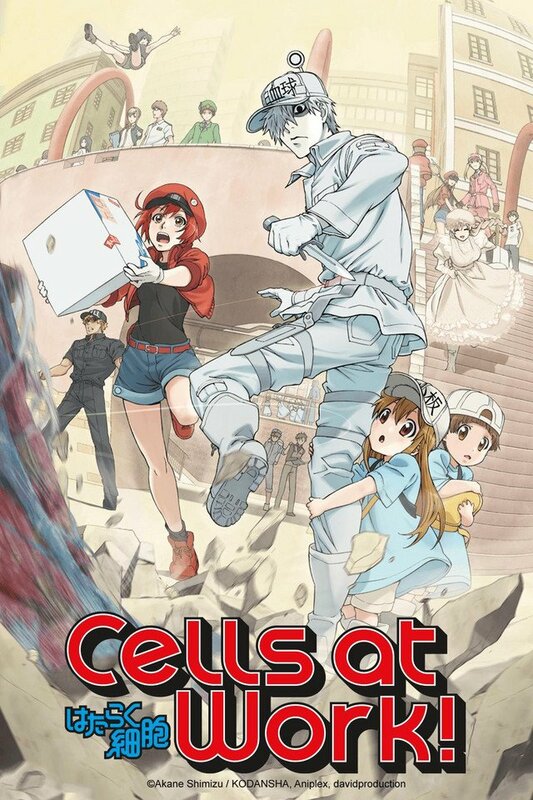 First up we have Cells at Work! which gave us a fascinating look at how our body works and the illnesses that threaten to do harm! What I liked about this show is that beyond the closing episodes, every story was self-contained. Offering both an in-depth and informative look at the human body, while also offering a monster of the week type story, Cells at Work! has something for everyone and I think that’s why I ended up liking it so much. It’s by no means the best anime ever, but it delivers something a little bit different that you could settle down and watch week to week. I’m not sure how well it would hold up watching episodes back-to-back, given that a lot of the stories boil down to the body being attacked and a particular type of cell going to save the day, but regardless it’s probably the show most worth checking out from this season if you let it pass you by. For my second pick I’m going to refer back to a series I mentioned in the preview guide: Seven Senses of the Re’Union. Back then I described the show as a cross between Sword Art Online and Anohana: The Flower We Saw That Day for being set in an online RPG while also portraying a character returning to life mysteriously after her death several years previously. While I’d enjoyed the first couple of episodes, I also had some concerns that the story wouldn’t wrap up comfortably, given the anime was adapting an on-going light novel series. Thankfully my fears were unfounded and although the final episode doesn’t finish off the whole story by any means, it does a good job of wrapping up enough of the subplots so it wasn’t unsatisfying to watch. My other complaint was that the music often didn’t fit with the context of a given scene and sadly that issue persisted throughout the show’s run. 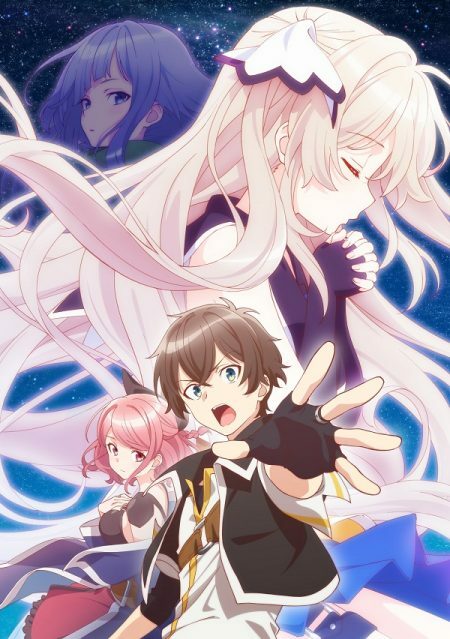 However, the characters remained likeable and the animation (handled by Studio Lerche) continued to offer an enjoyable show from week to week. I think if you were on the fence about this anime or burnt out on shows in the genre, this one is actually well worth checking out. Cells at Work! is available on Crunchyroll, while Seven Senses of the Re’Union can be found on Amazon Video. Sandwiched between a Spring and Autumn season full of heavy-hitters and big-name sequels, 2018’s Summer Season gave us a nice selection of shows that, while not instant classics, certainly provided some good entertainment. 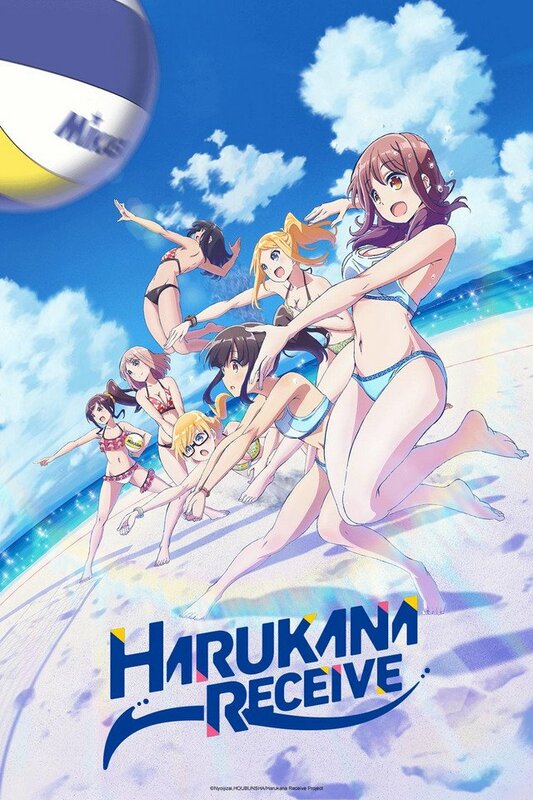 For summer I tend to go with shows that I can either have a lot of fun with or something that spells a really chill Sunday afternoon; and the one that I really had fun with this time and the one that shouted “Summer!” more than anything else, was Harukana Receive; with its bright yellow Okinawa beaches, the smell of the sea, cute girls and… beach volleyball? 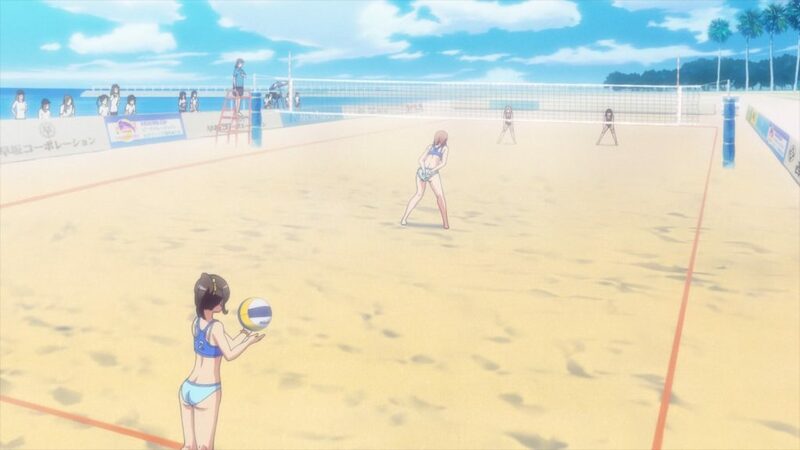 Yep, this is a sports anime, but one that behaves more like a ‘cute-girls-do-cute-things’ show. It’s actually a genuinely satisfying combination as it produces a show that’s a lot lighter and easier to get into than some sports anime and does both the cute part and the sports part really well. The story itself is fairly typical (and quite similar to this season’s other new sports anime, Hanebado!) – where we see Kanata, who had previously given up volleyball, being pushed back into it by her cousin Haruka who really wants to give the sport a shot. However, they face a massive challenge in order to become tournament nominee so Kanata can challenge her former partner who is now best in Japan of all things. So, what you get here is exciting volleyball matches, a story that is well paced (although we get a ‘go read the manga’ hook at the end) and characters that develop real chemistry over the course of the series. Unlike the aforementioned Hanebado! it doesn’t take itself too seriously and it knows that it can have a lot of fun with both the sport and its characters. It may only have a short run but it’s definitely a fun one and I’ve got my eye on continuing the story with the manga. 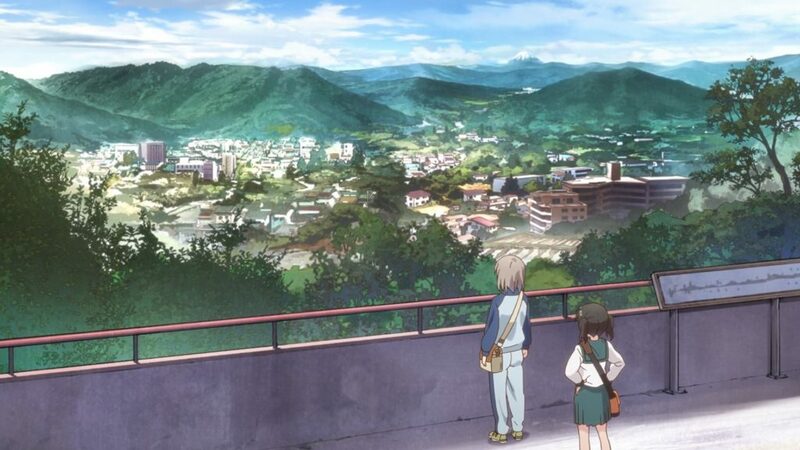 In a similar vein, there’s the third season of Encouragement of Climb, a series of anime shorts that I’ve come to love for its light and fluffy content and endearing cast of characters. This is a series about a group of high school girls who enjoy going mountain climbing together, each episode usually seeing them climbing a different mountain and getting into all sorts of adventures. Over time this has become more about the characters themselves and less about the mountains, with this season taking a particular focus on the relationship between our two main characters, Aoi and Hinata. It’s not that much of a directional shift though as it’s the characters that make this show so charming and honestly, it’d be impossible to convey the joy of the great outdoors without showing how much they love it. This season of character development only works to deepen that feeling as it shows how much the characters have grown through their love of mountain climbing. The mountains are still there though, and Encouragement of Climb does a lot of work for promoting Japan’s natural beauty, all the while providing a charming show that’s very relaxing to watch. If you enjoy the likes of Yuru Camp or maybe Manga Time Kirara franchises like Kin-iro Mosaic this will be right up your street. While those were my two favourites I don’t want to discount other great shows from summer either, with Banana Fish giving us a thrilling (and ongoing) gang war over a mysterious and deadly drug; Asobi Asobase and Chio’s School Road giving me some hearty laughs as very decent comedies, Shoujo☆Kageki Revue Starlight giving us a magical girl take on the legendary Takarazuka Revue theatre troupe, and Planet With perhaps being the biggest surprise of them all, being a tightly paced shonen show with a very involving story and some interesting mech combat. All said and done, I enjoyed the vast majority of this season’s shows and I can say that 2018 continues to be an exciting year for anime. Both Harukana Receive and Encouragement of Climb (Season 1 and Season 3) are available on Crunchyroll. My aim with these overviews is to share my enthusiasm for new series that I’ve really genuinely loved or thought were well worth your time. However… what happens when a title that you’ve really loved returns with a new season that just isn’t up to scratch? Yes, I’m going to talk a little about Free! Dive to the Future. 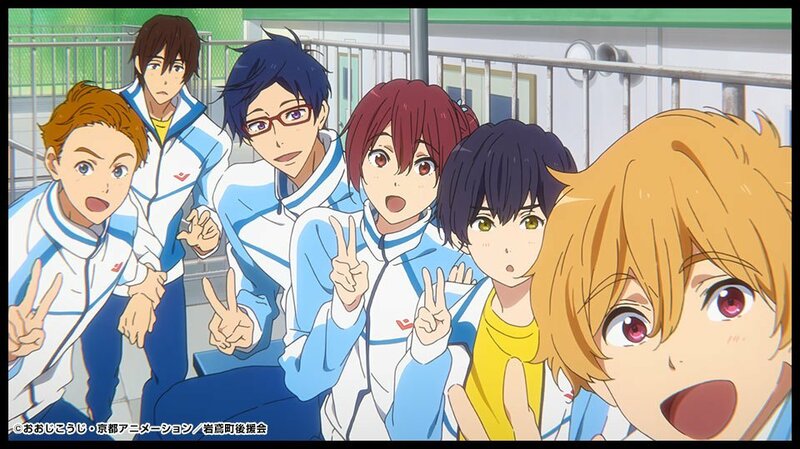 In Series 3, the high school friends split up as Haru and Makoto go off to university, Rin returns to Australia to train and it’s down to Rei and Nagisa as the Seniors at Iwatobi High to inspire a new generation to join the swimming club and carry on their good work. Cue the influx of a vast number of new characters, some of whom were introduced in the films that we haven’t seen yet in the West. Suddenly Free! felt like an idol show, with so many characters and storylines competing for the brief airtime that everything that made the first two seasons worthwhile was lost – or so diluted that it became increasingly difficult to follow or care. One example of the scattershot construction of the series (and lack of respect for the characters) is the way the story of Sousuke’s shoulder injury is just thrown away. There’s a new and major development – but it occurs between one scene and another and we hear about it mentioned casually in a conversation after the event. This is weak writing and evidence that the writers were so keen to juggle their (vast) cast that they ended up neglecting the very elements that made Free! such a good watch. 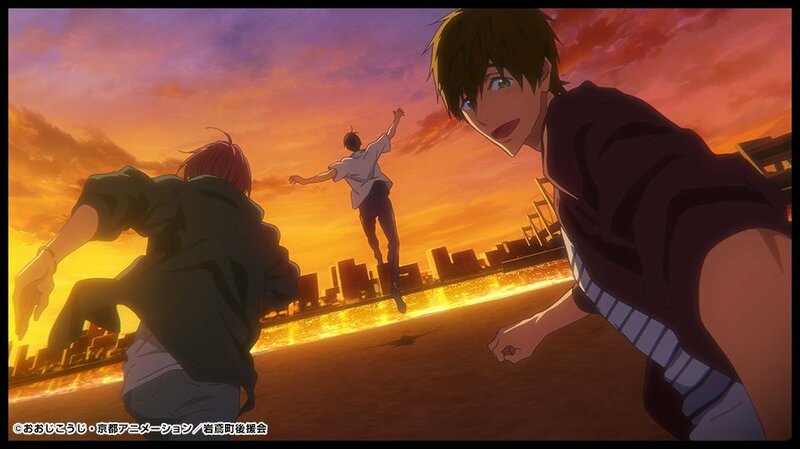 If only the creative team could have stayed focussed on the main characters: Haru; Makoto; Rin – and maybe run another separate series about Iwatobi High (Rei, Nagisa and Gou could easily carry their own show). The OP and especially the ED confirm the idol show influences, as we see the male cast performing a song and dance routine (and Haru winking to camera? Oh come on!) on stage. As a metaphor, it’s pretty clichéd and lacks the cheeky, imaginative fan service of the first two EDs (remember the Arabian Nights sequence? Or Rin as a US cop?). So what can be salvaged from this? If you’re a fan, you’re still going to want to watch – but you’ll probably feel disappointed (I certainly did) that the chance to work on the strengths of the first two series has been squandered and frittered away. High expectations can mean a much greater sense of let-down when the old magic isn’t re-kindled. The change of director at the helm (Hiroko Utsumi has gone to MAPPA to do a brilliant job on the oh-so-different-from-Free!, Banana Fish) may go a long way to explain the lack of focus. The final frame delivers the promise: ‘See You in 2020!’ so it looks as if the Tokyo Olympics finale fans have dreamed of may well become a reality. Which brings me to Hiroko Utsumi’s latest directing triumph, the (ongoing) serialization of the shojo manga classic Banana Fish (updated from the 1980s to the present day). I called it a Marmite show earlier because it seems to have divided its viewers and some who know the original manga have been less than pleased. 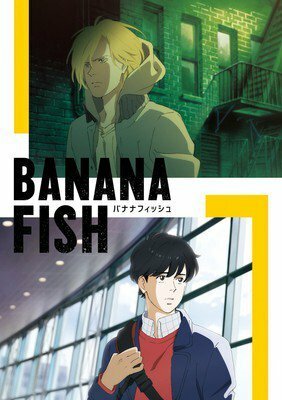 Banana Fish is set is the US and tells the story of two young men from utterly different backgrounds: one the New York gang leader Ash, the other, Eiji, a Japanese photographer’s assistant investigating. Ash is the tragic, sullied innocent, sexually abused as a child and raised by a Mafia don as his plaything, who has the innate charisma and brilliance to attract and command others. Eiji is the opposite: an innocent abroad whose caring and accepting personality makes him the ideal foil for Ash’s troubled brilliance. Drawn into a vile web of corruption arising from the lethal forbidden mind-altering drug Banana Fish, they find themselves caught between the police, the Corsican and the Chinese Mafia, as Ash’s rivals seek to settle old scores and Ash sets out to avenge his older brother’s death. Gritty and action-packed, this series shows its shojo origins in the way it develops and deepens the relationship between the two leads. There’s a moody jazz-influenced score from Shinichi Osawa – and some nail-biting, brilliantly animated fights, but it’s the chemistry between the two leads that makes this such a compelling watch. Banana Fish continues until the end of the Autumn Season – if your heart can take it. There have also been some startlingly good episodes in ongoing series My Hero Academia and Attack on Titan. The confrontation in MHA between Bakugo (who idolizes All Might in his own way but is weighed down by guilt because of what happened after he was kidnapped by the Villains) and Midoriya, the inheritor of All Might’s Quirk, had been a long time coming – but was no less painful to watch when Bakugo finally called Midoriya out. This fight was dazzlingly well (or should that be differently?) animated – and Bakugo’s revealing breakdown was searingly voiced by Nobuhiko Okamoto. Strong voice acting too in the third season of Attack on Titan in which the revelations have been coming thick and fast (and not before time)! This has very much been Christa/Historia’s arc and the scenes between her and shackled Eren in the underground chamber have resulted in some of the most visceral and affecting drama so far in a show not known for pulling its punches. Getting the human dimension right is vital to counterbalance the gruesome presence of the Titans and all they represent – and Shiori Mikami and Yuuki Kaji deliver some of their strongest performances yet. A word too about the OP, ‘Red Swan’ by YOSHIKI, featuring Hyde, which is very different in style from the earlier stirring OPs but no less striking, with its swelling melody and piano-heavy accompaniment. So…good omens for the fourth seasons whenever they make it to our screens! Free! Dive to the Future, Attack on Titan and My Hero Academia are streaming on Crunchyroll (subbed) and Funimation (dubbed). Banana Fish is ongoing on Amazon Prime. I’m going to share Sarah’s praise for the summer’s contributions to the long-running Attack on Titan and My Hero Academia stories. While Attack on Titan has certainly divided its audience on a number of occasions and this season’s more political focus has left many fans cold, I have been watching religiously each week and enjoying this lull just as much I liked the bombast of the previous arcs. Some of the animation work has been absolutely phenomenal as well; as a jaded older viewer it takes a lot to impress me, yet I found myself watching some of the more bombastic moments several times to fully appreciate them. My Hero Academia has also gone from strength to strength since its first outing and there were several standout moments this season. One thing bothers me, though; why doesn’t my favourite character (Aoyama) ever get any credit for his awesome moments?! In any case, there weren’t all that many other series which strongly appealed this summer. I found the new Free! disappointing for the reasons already mentioned; it spread its cast far too thin and relied heavily on content that wasn’t easily available in advance. Fortunately, two other titles salvaged the season for me. 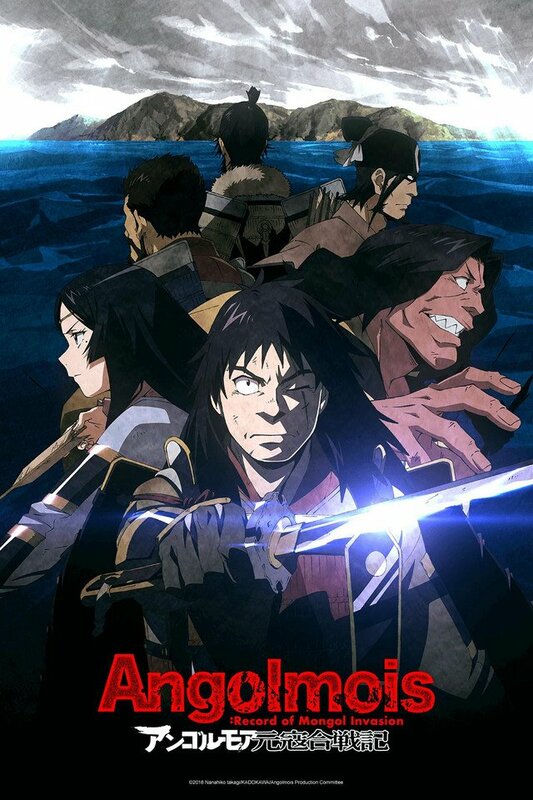 Angolmois: Record of Mongol Invasion was one of the better Crunchyroll titles this summer. Next to the big budget mainstream titles the animation looks noticeably cheaper – and I can’t decide whether the textured filter the animators applied to disguise this was entirely successful. It looks good in stills where it adds a distinctive style to the art, and absolutely terrible in the frequent pans across island terrain. Set during the first of the real-world 13th century Mongol invasions, the story is a simple tale of a skilled warrior who seems to be at the end of his career when he loses everything important to him and ends up in exile on Tsushima. Unexpectedly, he gets a second chance at making something of his life when the island comes under attack by an overwhelming force of invaders. With this being based on a manga, it should also be noted that there are a fair number of fantastical flourishes to spice things up. I can’t recommend the show to everyone since a healthy appreciation of Japanese history and warfare is required to get the most out of Angolmois. It’s often bleak in tone (both narratively and visually). But Jinzaburou is a likeable lead and the cast in general is full of complex, interesting characters; even those who don’t stay around too long get their moments to shine. I liked the tactical elements using cruder strategies than we usually see in the more popular Sengoku-themed titles which crop up each season, and I really liked Jinzaburou’s proud, pragmatic attitude. In a season packed full with fluffy titles, the darker ones offered a welcome change of pace. 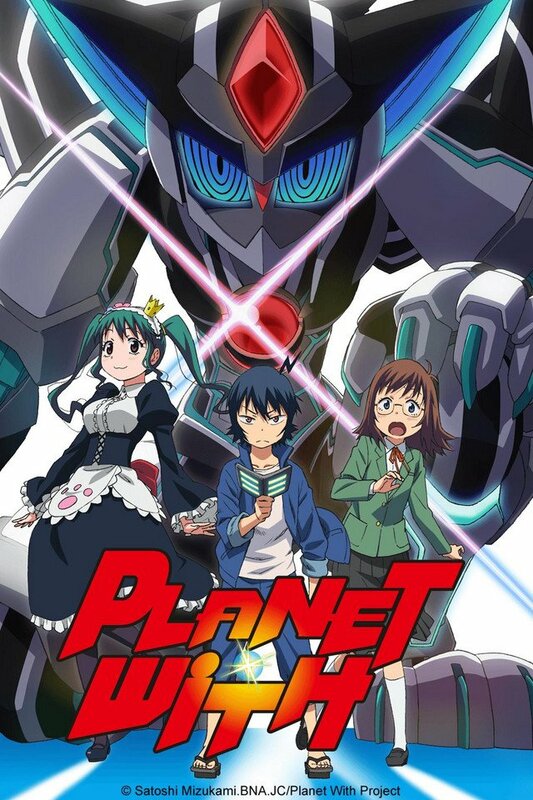 Speaking of darker titles, Crunchyroll’s simulcast of Planet With was a big surprise to me. I had deliberately not read anything about it in advance so I was initially expecting something fairly generic. The first episode merrily combined typical elements of a traditional giant robot show with goofy details such as a live-in maid, weird ‘talking’ animal people and cutesy character designs. As the initial story developed, however, it became clear that this was going to be a little more complex than the silly setup had implied. The hero doesn’t find himself the reluctant pilot of a world-saving mecha as I’d expected; in fact, things unfolded in a rather shocking direction at the climax of the first episode. From there, the twists kept coming thick and fast, all the while accompanied by pleasing visuals and a pervading devotion to making everything as surreal as possible. For the first few episodes I remember thinking that I wasn’t really sure that Planet With was actually about. I was happy to discover that things were eventually explained – quite reasonably, all things considered – and it managed to have a satisfying ending as well. So if anyone is looking for a complete, self-contained show which isn’t afraid to experiment with its genre, you could certainly do a lot worse than taking another look at Planet With. Angolmois and Planet With are streaming on Crunchyroll. Funimation UK announces expansion of their streaming service, launching as a premium Video Channel on Amazon Prime!